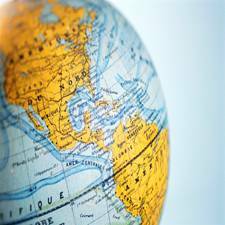 Mexican cooking with recipes and facts about Mexico for kids world studies. When we think of Mexican cooking, tacos are first on our mind. However Mexican recipes are much more diverse than that. Next time you want to have a Mexican taco try changing it a bit by adding different fillings such as fish, turkey or chicken. Shredded pork tacos, black bean tacos or shrimp and avocado are all Mexican cooking at its best. Some common ingredients in Mexican food are lime juice, corn, cornmeal, flour tortillas, chili peppers, papaya, avocado, pineapple and beans. These take a little muscle work to roll out but they taste so good they are worth the extra effort. In a mixing bowl add flour, baking powder and salt. Stir together. Pour in oil and warm water and blend together. Knead several minutes and let sit covered in plastic wrap or in a plastic container with a lid for 30 minutes. Pull off balls of dough and roll out each ball into desired size tortillas. Fry a few minutes on each side in a hot skillet. Prepare your favorite Mexican cooking recipes with your fresh tortillas. Layer in each ingredient in order listed. Serve with tortilla chips. Try these chicken enchilada recipes or beef & bean enchiladas recipe. Brown 1 lb. hamburger with one chopped onion and 1 clove garlic, minced. Drain and add 1 cup salsa, 2 teaspoons chili powder, if desired, 1/2 teaspoon salt, and 1/4 teaspoon pepper. 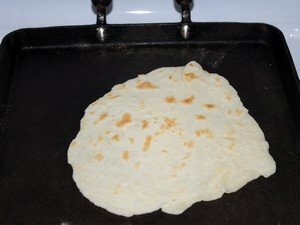 Warm up flour tortillas and place beef mixture and shredded cheese on one end of tortilla wrap up tightly and place on a foil lined cookie sheet. When all tortillas are filled and rolled up brush tops of tortillas with oil. Bake at 400 degrees for 8-10 minutes or until golden brown. This Mexican cooking recipe should be served with guacamole, sour cream and/or salsa. ¼ Cup sour cream, if desired. Mash avocados and add remaining ingredients. Serve with tortilla chips. 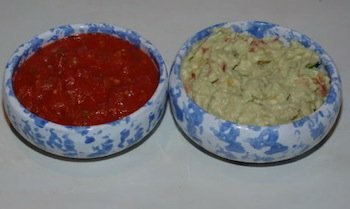 Use as much ingredients as desired and taste as you go for a quick Mexican cooking salsa. On top of one flour tortilla mix cheese, onion and chilies. Scatter over tortilla to the edges. Top with second tortilla. Brush tops with olive oil and bake in the oven at 400 degrees until golden brown. Or fry in a tablespoon of oil in a skillet. 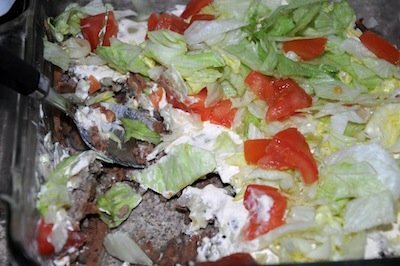 Top with sour cream , salsa or tomatoes. 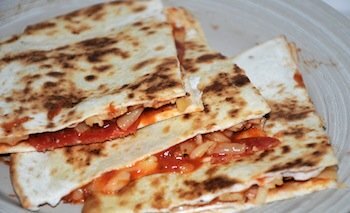 **Make this a chicken quesadillas by adding chopped marinaded chicken with the cheese. 1. Preheat oven to 400°F and line a large, rimmed baking sheet with parchment paper or a Silpat® baking mat. Set aside. 2. In a large mixing bowl, combine sliced flank steak, peppers, red onion, olive oil, cumin, chili powder, cayenne, and red pepper flakes. Generously season with salt and pepper, to taste, and mix until everything is well coated. 3. Spread the steak and pepper mixture onto the prepared baking sheet and roast in pre-heated oven for 15-20 minutes, or until the steak reaches the desired level of doneness and the peppers are soft and slightly caramelized. 4. 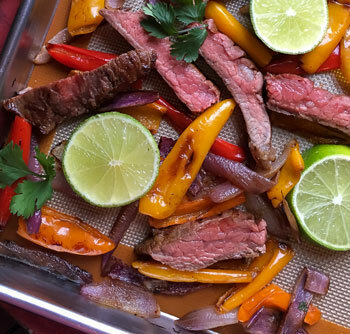 Remove sheet pan from oven and sprinkle with fresh cilantro and a squeeze of fresh lime juice. Serve immediately with diced avocado, corn tortillas, or lettuce wraps for a low-carb option, if desired. Enjoy! Brown hamburger and onion together in skillet. Season with salt and pepper or other taco seasoning if you choose. Drain and set aside. Heat oven to 400. In a mixing bowl add flour, cornmeal, baking powder, salt and sugar. Stir together and add soft butter. Blend together. Slowly add milk until dough forms a ball. If dough is sticky add more cornmeal. On a floured surface roll out dough and cut 3-4 inch circles with a bottom of a glass or biscuit cutter. Add cheese to the beef mixture. Place 1 teaspoon of beef in each circle. Fold each circle in half and seal edges with a fork. Place on a cookie sheet and bake for 12 minutes or until golden brown. 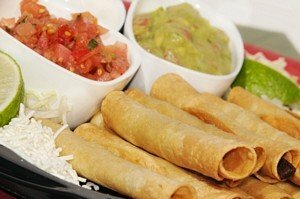 This Mexican cooking recipe is very versatile as you can add whatever fillings you desire to change the recipe. 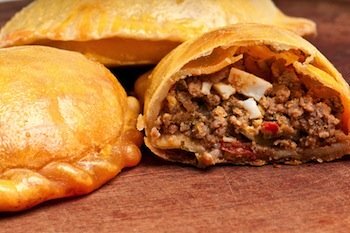 Try ham and cheese, pizza toppings or a fruit filling for a non Mexican recipe empanada. In serving bowl add corn, tomatoes, avocado, and onion. In measuring cup or bowl add olive oil, lime juice, cilantro, salt and pepper together. Pour over salad and toss to coat. Serve immediately. 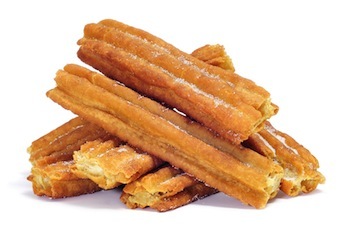 This Mexican cooking dessert is delicious and kid friendly. In saucepan heat water, butter and sugar until butter has melted and sugar is dissolved. Add flour and blend together. Turn heat to low and cook continuing to stir until mixture forms a ball. It will be dry enough to leave the pan clean. In a small bowl whisk together eggs and egg yolk. Take off heat and slowly stirring in beaten eggs. Allow to cool and then place in a ziploc bag or pastry bag. (Clip a hole at the corner if using a ziploc bag). Squeeze dough out into long sticks. Fry in hot oil until golden brown and crisp. Place on paper towel to drain. Then sprinkle with powdered sugar. It is still unsure if this is an ethnic Mexican cooking. Place cornflakes in a ziploc bag and crush with a rolling pin or kitchen mallet. Scoop vanilla ice cream in small scoops and roll in a ball. Coat with cereal. Place on a cookie sheet lined with waxed paper. Freeze several hours. Before serving broil for 30 seconds to until the cornflakes are light brown.